The chapter post for chapter sixteen in the read-along is over at Happy Family Travels! The chapter post for chapter fifteen in the Hunger Games read-along is over at Nyx Book Reviews! The Chapter post for chapter fourteen in the Hunger Games read-along is over a Hald Reviews! A. I don't really have a favorite place since i bring a book (or kindle) everywhere I go, I read in varying spots. I guess my favorite spots are places that are quiet and comfortable! While not the longest chapter in the book, chapter thirteen is definitely very important as it includes a turning point in the Games. (Including the infamous fire seen in the teaser trailer). Katniss’s Latin name is Sagittaria means “of the arrow”. This immediately struck me as ironic, given our heroine’s talent with archery. Katniss was a staple for Native Americans, especially in the Northwest. They dug up the root with their toes in marshy areas. Apparently it was also cultivated in Asia. Katniss has about 30 species, and, like Ms. Everdeen, is very adaptable. It can survive in 0 degrees F, a multitude of soils and either acid or alkaline environments, but it does require a lot of sunlight. I just learned as I was writing this that Katniss has another name as well: Wapato. As it happens, I had heard of Wapato before and even eaten it! So I can tell you first hand that Katniss root tastes a bit like sweet potato, but more mealy and earthy. Hey everyone! Cafe of Answers has the chapter post for chapter eleven! Check it out HERE. 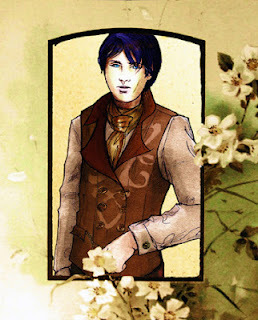 Will Herondale is definitely a huge book crush of mine! At the end of Clockwork Angel I detested him, but at the end of Clockwork Prince... well... AAAHHHHH.... You know what I mean if you have read it! Priscilla's giveaway ends tonight at midnight, so be sure to sign up! Check out the chapter post on Chapter Ten in the Hunger Games Read-Along! Q: I like unique names for characters and am looking forward to coming up with some when I start writing. What's the most unique character name you've come across? What about you, where you able to come up with anything more specific? My favorite genres are probably fantasy, science fiction, and dystopian. I love reading all genres, but those are the ones I tend to be drawn to! 3. What is your favorite book from childhood? Hmm, that’s a tough one. I don’t think I could list all of the books that made an impact on me as a young child, but I remember my mother reading the Chronicles of Narnia to me and I adored that series. Black Beauty was another one that I loved, Anna Sewell’s writing was so wonderful and I loved Black Beauty’s touching story. In middle school I was inspired to write a creative writing piece on Anna Sewell for an assignment. 4. If given the opportunity, which author would you like to meet and why? They can be living or dead. Ugh! Again with the hard questions!!! Okay, I am just going to list three and I know I am leaving a bunch out, but here goes: J.K. Rowling, Suzanne Collins, Cassandra Clare. 5. What was the last book you read that you really loved? What makes it so special? I just finished reading the classic A Tree Grows in Brooklyn. It was a very different read from what I am used to, but I still loved it! I loved how the author didn’t need to have a giant story arc, and how the whole world didn’t need to be at stake for the characters actions to seem important. The writing is so exquisite, I have never encountered another style like it! 6. How many books on average do you read in a month? It can range a lot, but always at least four a month. If I read less than one book a week I feel like I am behind in some way. 7. Do you prefer reading e-books or actual books? Why? I don’t. I think there are pros and cons to it. I love that ebooks are cheaper and that they save trees, but nothing can really compare to me than the feeling of flipping the pages of a real book in my hands. 8. In your opinion, what is the most overrated book of all time? I think Twilight is very overrated. To be honest I have not actually read it (I know, I know) but I just think that any book that so drastically tailors age-old myths to the author’s needs instead of just making up a new creature altogether seems a bit strange. And I had considered reading it up until I heard about the whole Renesme thing, and I’m sorry, but anything that twisted that is popular is overrated in my opinion. 9. What genre do you refuse to read? Why? I wouldn’t say that there is one particular genre that I would avoid completely, there are definitely some that I don’t go out of my way to look for, but if persuaded, I think I could get through at least one book of most genres. 10. What is your favorite book to movie adaption? Lord of the Rings, definitely. That adaption is absolutely amazing, and Peter Jackson did such an amazing job. Every change that they made, I understood, and in some cases was even happy about. Even the changes I didn’t like I thought the reasons why they needed to make them made sense. 1. When did you first discover your passion for reading? 3. What is your favorite thing to do outside of reading and blogging? 4. If you could hop into any fictional world/reality, which one would it be? 5. What are your literary pet peeves? 6. What is your favorite reading snack? 7. What is that series that you are dying to read but haven’t gotten to yet? 8. What was the saddest book you have ever read? 9. Approximately, how big is your TBR pile? 10. Which books do you consider your guilty pleasure? Thank you so much to Roberta for tagging me! Check out this awesome giveaway at Christina Reads YA. Here is the link to the chapter post to chapter eight at Everyday is an Adventure! The Chapter Post for chapter seven in the Hunger Games Read0Along is over at the Phantom Paragrapher! A: I would definitely prefer to read a favorite book over and over again! Because if it is truly a favorite, it will take quite a few reads to make me be tired of it because I will keep discovering new things. Reading mediocre books can sometimes be worse than reading awful books because at least with awful books I feel a passionate dislike for them, with mediocre books I'm just like "meh" and unless I am on an airplane or some other long span of thumb-twiddlingness when I am reading it, I will probably want my time back. The chapter post for chapter six in theHunger Games Read-Along is up HERE! Click on the button and be sure to check out the awesome giveaway going on at Bloomin' Reviews! 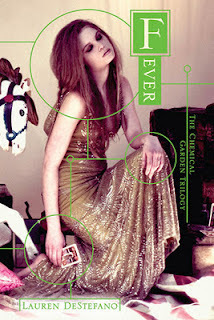 Today Sarah at Catching Books posted on the fourth chapter in the Hunger Games. Go check it out HERE! Hi everyone! I am please to announce the chapter post number three by JNCl at The Beauty of Ecleticism! Q: Define what characteristics your favorite books share. Do they all have a kickass heroine or is the hot love interest the Alpha Male? A. All of my favorite books have well developed characters, interesting plot lines, and I love strong heroines as well. I usually read fantasy, but I have my exceptions as well.